Cue the Yogi Berra. It's deja vu all over again in the stock market. 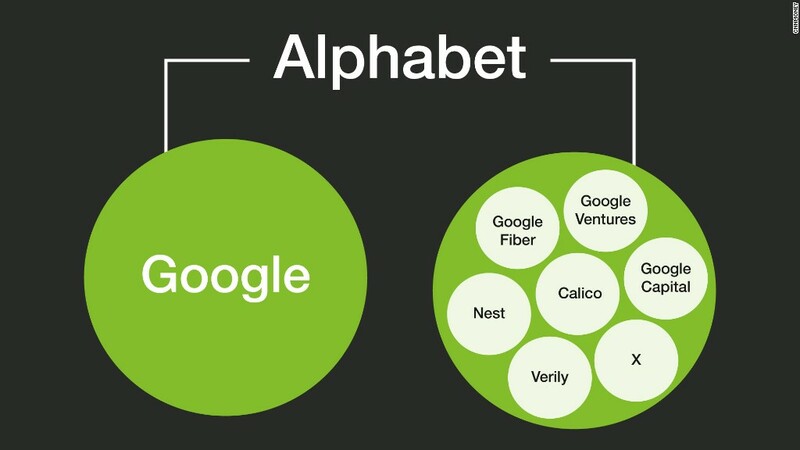 Alphabet (GOOGL), the parent company of Google, just passed Apple (AAPL) to become the world's most valuable company. Again. Larry Page's tech conglomerate is now worth about $498 billion compared to Apple's market cap of around $495 billion. Alphabet (can we please just call it Google?) has passed Apple before -- just three months ago in fact. But Alphabet's lead over Apple didn't last long. Apple retook the lead in mid-February. It's also worth noting that Alphabet topped Apple on Thursday by default. Alphabet shares were down nearly 1% and have fallen about 7% this year. But Apple is doing even worse. Shares fell to a nearly two-year low on Thursday, briefly dipping below $90 a share. Apple is now down 14% this year, making it the worst-performer in the Dow so far in 2016. Investors in both Apple and Alphabet are concerned that they are not doing enough to contend with more rapidly growing tech companies like Amazon (AMZN) and Facebook (FB). Amazon's stock is up 6% this year while Facebook has gained nearly 15%. Both companies are trading near all-time highs and each now has a market value of about $340 billion. Both are now worth more than healthcare giant Johnson & Johnson (JNJ). And they are only worth slightly less than Exxon Mobil (XOM) and Warren Buffett's Berkshire Hathaway (BRKB). If Amazon and Facebook pass those two, then Microsoft (MSFT) would be the next giant they could soon top. Mister Softee is currently worth about $400 billion. So it's still premature to say that there's a changing of the guard in the market. But unless Apple, Google and Microsoft start wowing Wall Street with new products and features, it may not be long before Jeff Bezos and Mark Zuckerberg are in charge of the two most valuable companies on the planet.